We will have our yearly Maundy Thursday service on April 18th at 7:00 pm. During this service we will observe the Lord’s Supper. We will NOT have Wednesday night services on April 17th and encourage everyone to attend the Maundy Thursday service. The choir will be singing the cantata, “My Easter Story”. Please invite family and friends to join us! Saturday, April 20th at 12 noon, is our Easter Egg Hunt for the kids. 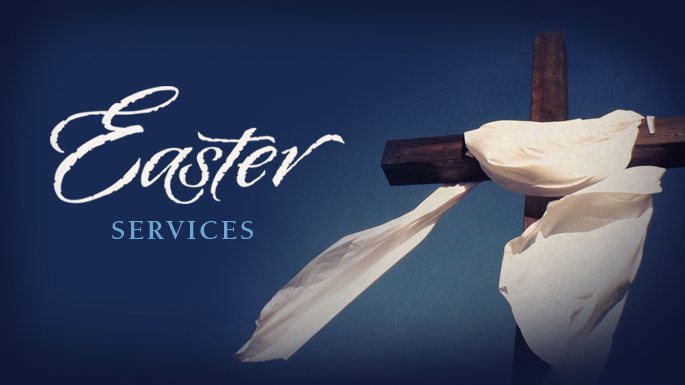 Be a part of all the activities as we celebrate our risen Lord and Savior.